Abdelfattah Kilito turns his obsession with ‘the fact of language’ into a thrilling tour de force that invites us to rethink the myths of our human origins, leading us into a labyrinthine wonder world of linguistic inquiries. In the beginning there was one language—one tongue that Adam used to compose the first poem, an elegy for Abel. “These days, no one bothers to ask about the tongue of Adam. It is a naive question, vaguely embarrassing and irksome, like questions posed by children, which one can only answer rather stupidly.” So begins Abdelfattah Kilito’s The Tongue of Adam, a delightful series of lectures. With a Borgesian flair for riddles, stories, and subtle scholarly distinctions, Kilito presents an assortment of discussions related to Adam’s tongue, including translation, comparative religion, and lexicography: for example, how, from Babel onward, can we explain the plurality of language? Or can Adam’s poetry be judged aesthetically, the same as any other poem? Drawing from the commentators of the Koran to Walter Benjamin, from the esoteric speculations of Judaism to Herodotus, The Tongue of Adam is a nimble book about the mysterious rise of humankind’s multilingualism. Abdelfattah Kilito is a Moroccan author who has published several books in Arabic and French. The Tongue of Adam is a quiet intellectual indictment of racial, ethnic, and national chauvinism, a text which derives an egalitarian beginning to language from the oldest of religious traditions. A brilliant and necessary book. Yet his commentary on the age-old debate, though minimal and mostly contained in an afterword, reveals his personal connection to the subject as a writer in both French and Arabic, making the work both poignant and relevant for contemporary readers. 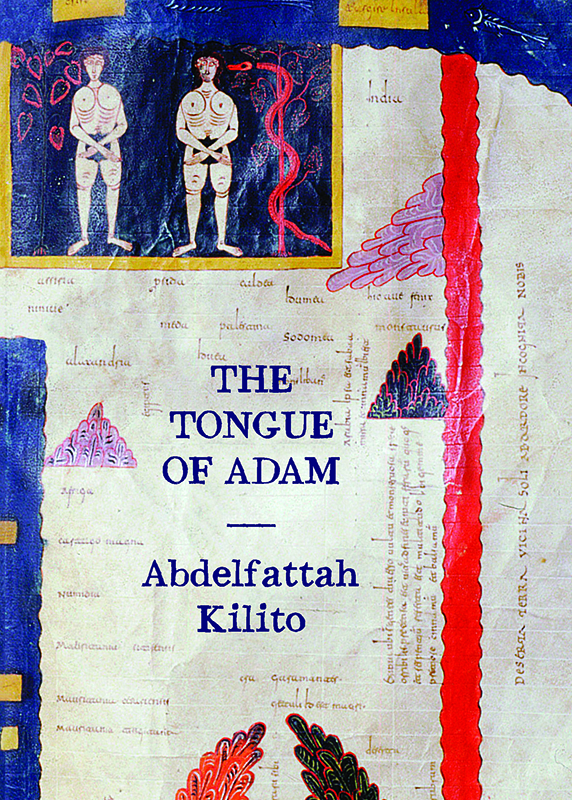 Abdelfattah Kilito’s The Tongue of Adam is the rarest of essays: intensely focused and full of surprises, instructive and illuminating. To read this book is to set out on an astonishing and unique voyage through classical Arabic literature. Borges’s afterglow falls on Kilito’s pages, and he shares the Argentinian’s relish for puzzles, mazes, and riddling forms, as well as a love of pulp on one hand and the rare and raffiné on the other, al-Jahiz’s philosophy of discretion alongside Tintin, Sufi metaphysical lyrics and the Queen of the Serpents’ spells. Kilito is a mandarin who likes comic books. One would be hard-pressed to find a Moroccan writer who is more respected by his peers and more appreciated by his readers than Abdelfattah Kilito. Reading Kilito for me has always been a kind of adventure. We normally speak of writing as an adventure, but Kilito dares his reader to travel with him, on a quest to override the boundaries between reality and fiction, between literary criticism and storytelling.